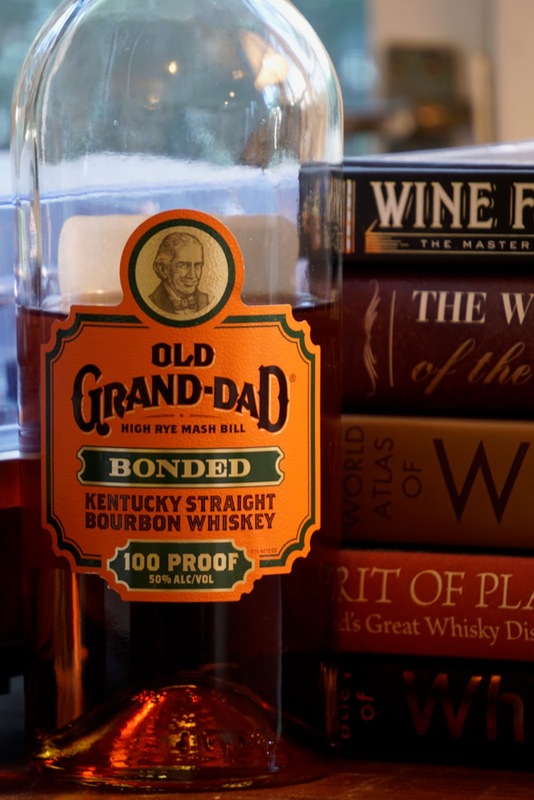 Old Grand Dad BIB (50.0%): It's been nearly six years since I posted my first review of Old Grand Dad BIB and I think it is worth to revisit now since I am drinking it all the time. Although the bottle and the label changed in years the whisky in the bottle didn't so far we know. It is still distilled from the same mash-bill of 63% corn, 27% rye and %10 malted barley. But I still want to see how it holds up today. Color: Polished clear copper with slow moving legs around the glass. Nose: Stable floors, dive bar counters and warm cornbread. Carpenter's shop, saw dust, chalk and lime wash. Dry soil and dandelion leaves. Palate: Very corn forward and sweet... Didn't see this coming after the nose. Cornbread, kettle corn and simple syrup. Greek baklava, candied pecans and sweetened peanut butter. Finish: Medium to short with cinnamon, over-roasted nuts and caramel popcorn. Overall: Although I loved the chalky and dusty qualities and the subtleness of the nose this time the palate didn't do that much for me. It is a little too sweet and the corn driven notes on the palate are a little too much for my taste... Oddly enough I was remembering more rye influence on the palate. I don't think that the whisky changed in years but probably my palate did. I am well aware that I grew disliking heavy corn influence more and more in my bourbon over the years but this doesn't mean that I didn't enjoy the whiskey in my glass. On the contrary it is a bourbon that would make me happy to see behind the counter when I walk into a random bar... At the end also the price tag attached to it is almost impossible to beat.